Petroliana is a category of collectibles that is related to gas stations or the petroleum industry. 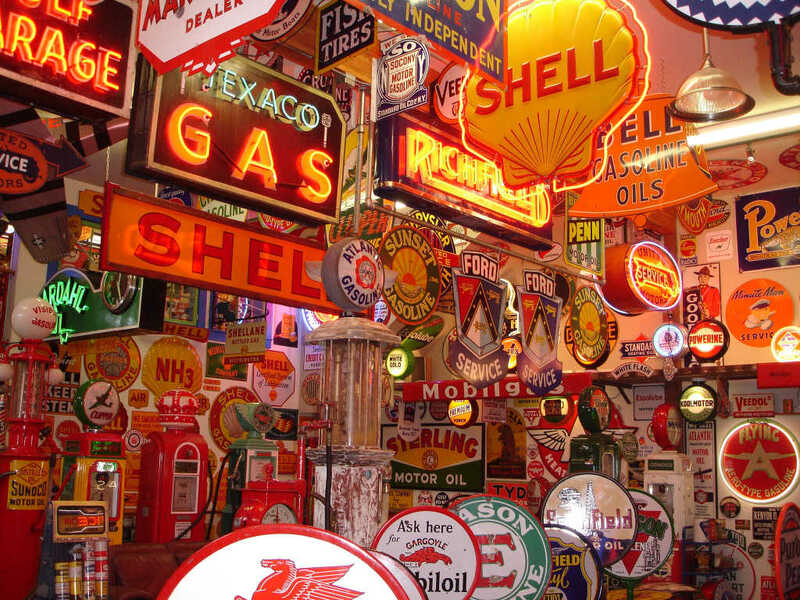 Petroliana memorabilia includes items such as vintage petrol pumps, fuel advertisements, enamel signs, oil cans and tins, and road maps usually featuring major names like Mobil, Texaco, Standard Oil, Phillips 66, Shell, Sinclair, and Esso. 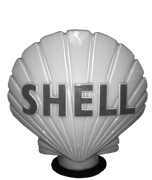 Collectors also seek items associated with regional oil company brands like Signal, Gilmore, and Wilshire. Not to mention an endless variety of giveaway promotional items like ice scrapers and plastic 'lollipop' thermometers featuring the names of these bygone oil and gas companies and service stations. The golden age for Petroliana collectibles relates directly as you would expect to the golden age of motoring on the 50?s and the glamour associated with it from that time, but there is also interest in very early collectibles from the early 20th century. In the early days of automobile travel, service stations were unfamiliar and often poorly lit at night. So lighted gas pump globes and other oil company signage were key to reassuring and attracting motorists. And since pumping gas was a new experience, early pumps allowed motorists to see if the gasoline was clean and later to watch the price as the gas was pumped which was a major innovation. 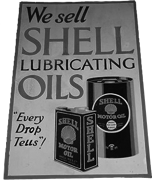 At Classic Triumph Sports Cars we have been collecting petrol station automobilia for a number of years and offer some of this online via our automobilia section. All of our automobilia is genuine and not the cheap imitations that have become popular over the last few years. For a list of our current stock or more information please visit our website.